Love makes the world go round and this fresh flower arrangement is out to prove it with its deep, romantic coloring and, oh, so sophisticated styling. 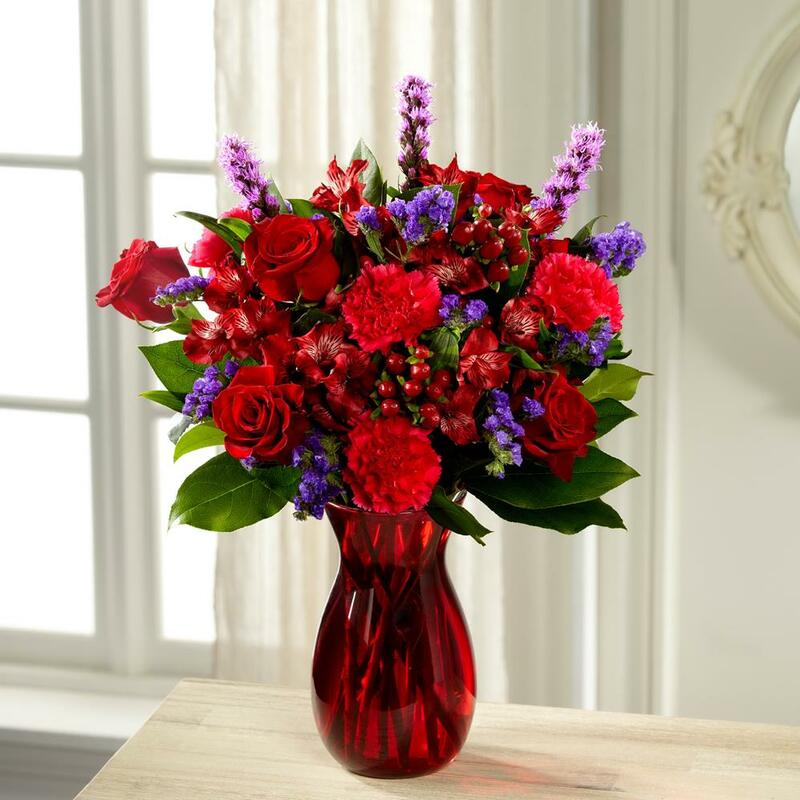 Rich red roses mingle with red Peruvian Lilies, hot pink carnations, purple wax, liatris, and lush greens, elegantly arranged in ruby red glass vase to create an impactive visual affect. Bursting with love from every bloom, this bouquet is out to create a standout Valentine's Day gift.